Restructured and redeveloped the online platform for the newspaper's WordPress-powered website. 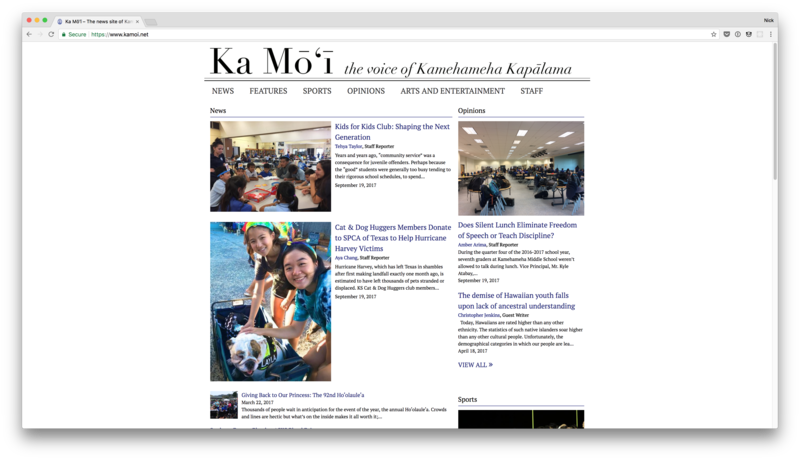 Responsible for writing, reviewing, and publishing articles and other material on to Ka Mōʻi’s online platform using WordPress CMS. Improved content creation by implementing Google Analytics for real-time feedback. Increased online traffic by eight times and reoccurring users by five times compared to the year before. In collaboration with other student reporters on staff, I helped to seek out, strategize, and develop new methods of sharing engaging content to our high school audience. 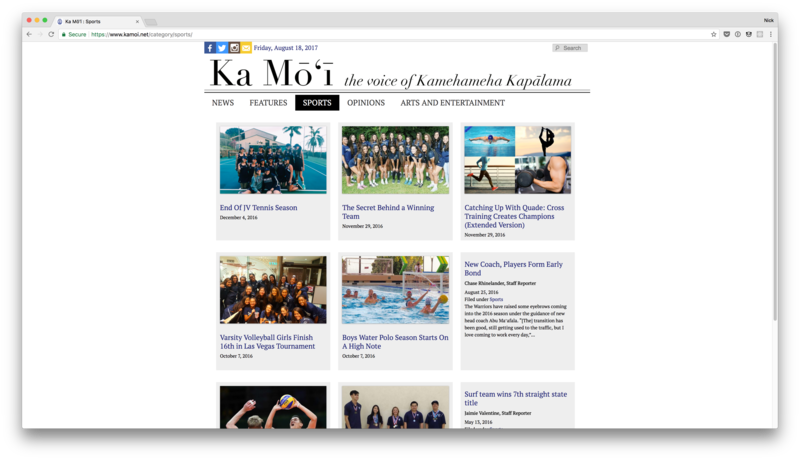 Through conducting interviews, attending events, and engaging in conversation with faculty and fellow students, I am able to create authentic story-telling content representative of the diverse Kamehameha Kapālama community. Most notably co-published an article titled, "Faltering School Climate Begins to Affect KS Community" alongside JP Newmann and Jade Ishii. 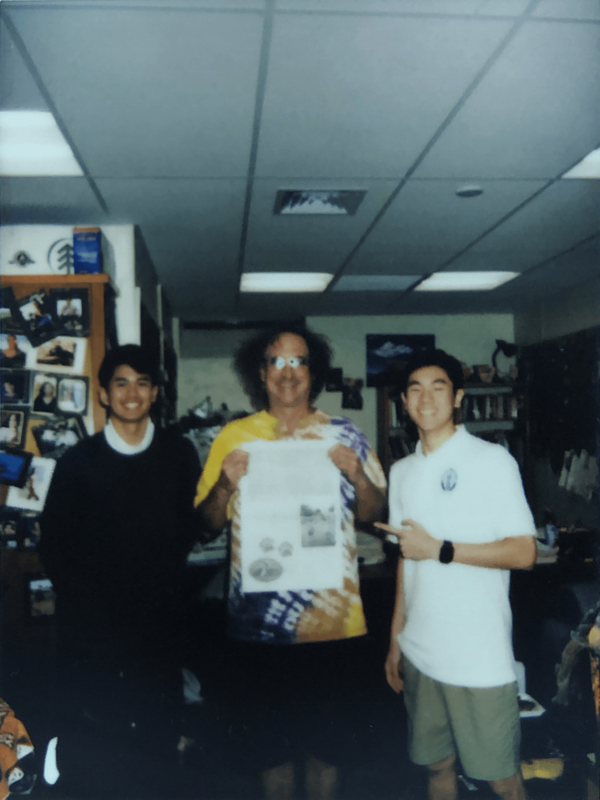 The article was spread across campus and prompted upper-level administration at Kamehameha Schools to take action. You can view the article, here.